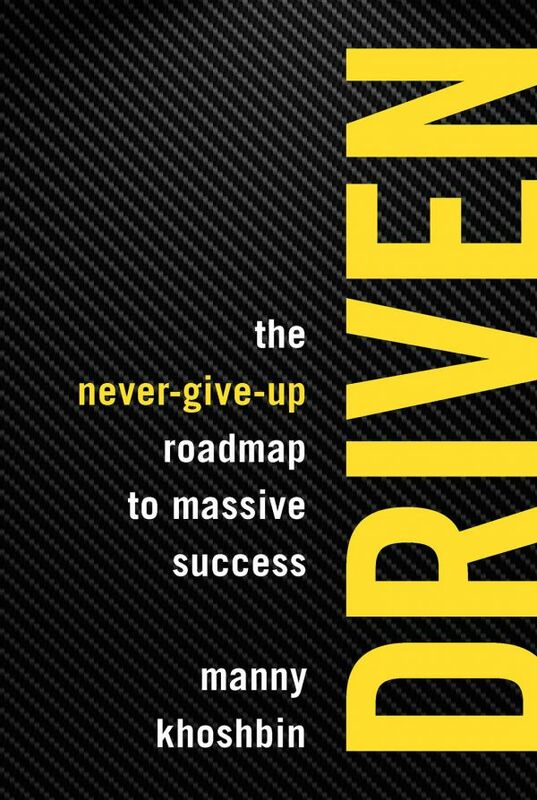 MANNY KHOSHBIN is the author of Driven: The Never-Give-Up Roadmap to Massive Success (Entrepreneur Press, 2018) as well as the president and CEO of The Khoshbin Company, based in Orange County, CA. Khoshbin immigrated to the U.S. with his family in 1984 at the age of 14, got his real estate license in 1992, and proceeded to build a tremendously successful career in real estate. Today, his company has real estate holdings in seven states, totaling over 2.5 million square feet. As an entrepreneur, he loves to challenge himself and maintains a dream of having a vast enterprise expanding across many businesses. NEVER TAKE A BACKSEAT ON YOUR DREAMS. Behind every entrepreneur's success story, there's a never-ending list of gut-wrenching failures, missed opportunities, and jaw-dropping setbacks. Real estate mogul and serial entrepreneur MANNY KHOSHBIN is one of those entrepreneurs with a story of perseverance that will make you believe in the American Dream all over again. This book goes beyond Manny's personal ride through the entrepreneurial journey to deliver the habits, mindset, and insights aspiring entrepreneurs need to turn dreams into reality. Buckle up and remember that anything you really want deserves your 100 percent effort. Got it? Good. Now, let's ride. Follow this wise advice from a successful entrepreneur to find out how to hold on to the money you make. In the early stages -- before your business is profitable -- it's essential that you push yourself to do these things.